(1). The Jews: living under the law. (2). The Christian: living under God’s grace! (3). The Law: Given to Protect The People. (5). The Case Laws: a summary. (6). The Lord: an exemplar. • But if we are honest with ourselves we tend to disbelieve him. • That each and every choice we make has consequences. • Two high profile people in the world of football have found that out! • Have to face the consequences for their actions! • Then they climbed behind the wheel and hit another car and kill somebody! • And many times things they have worked a lifetime to acquire. • Our actions have consequences. • So leave this place and do good! • Bad actions result in bad consequences. • With a desire to live for him and to do good to all people! • And the passage I have been asked to speak on this morning is Exodus chapter 22. • Because I have a feeling you might not be too familiar with these verses! Question: How many Old Testament commandments are there? • Most of you are probably thinking ten. • Because most of us are Gentiles and not Jewish. 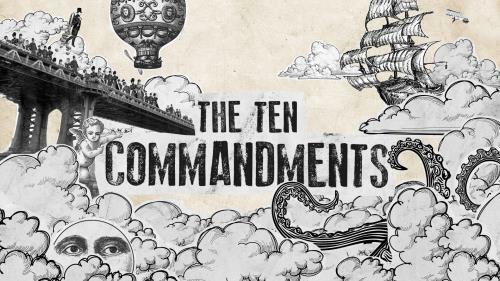 • And we have often heard quoted and heard taught those 10 commandments. • And so we read our Old Testament through Christian spectacles. • And for us it is nearly always the big ‘ten’ that we focus on. • I would expect a different answer to that question! • (The first 5 books of the Bible). • And they of course would be right! • God gave the Jews a set of rules that they should live by. • Not just 10 commandments but 613 commandments in total. • And he taught these laws to the Hebrew people. • Cover every aspect of life including law, family, personal hygiene and diet. • The New Testament teaches (i.e. Romans chapter 6 verse 14). • (Exodus chapter 19 & Deuteronomy chapter 30 verses 15–18). • Jesus Christ fulfilled the law and introduced a new covenant. • (Luke chapter 22 verse 20). • i.e. Further proof is some of you might go home to roast pork for your Sunday lunch.